Post coded wood - know exactly where in the UK your wood is coming from! 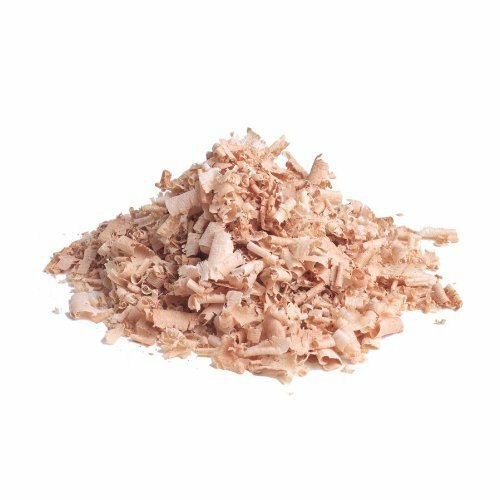 Our kiln cured chunks are split down to fist-size pieces of wood. Please note that this is a natural product so sizes can vary from thumb size to fist size. They are the perfect size for use with grills as they do not instantly combust, and provide a good long smoke if used in a smoker, Kamado style or kettle BBQ. It is down to your preference if you soak them or not, experiment and find what is best for your cooking methods. 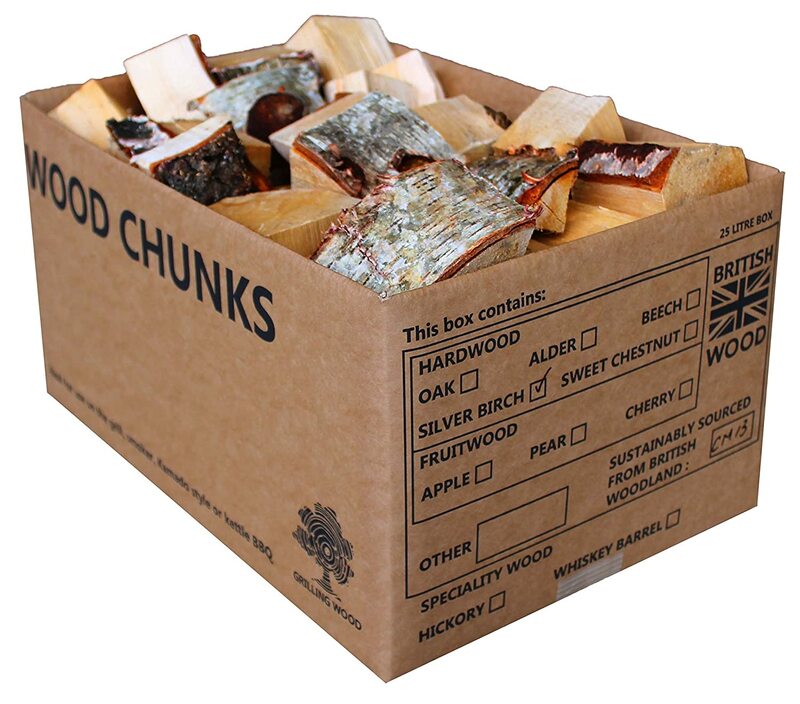 These chunks come in a large 25 litre box and can weigh 6kg - 9kg giving excellent value for money. 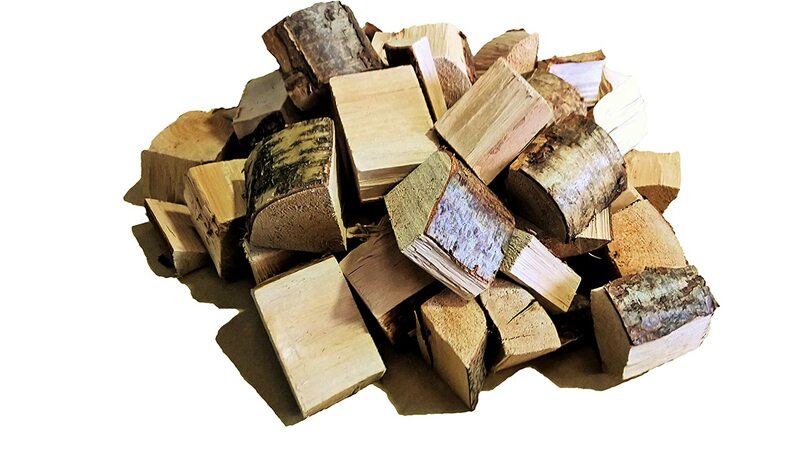 We are proud to supply only BRITISH hardwoods and fruitwoods. 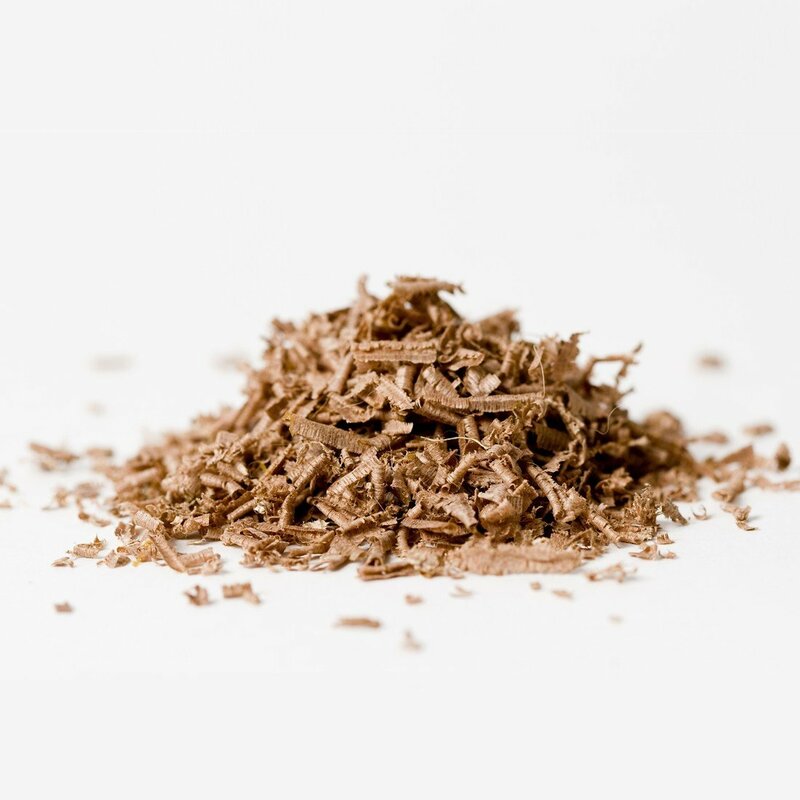 All of our smoking chunks are post code marked so you know where in the UK they come from. 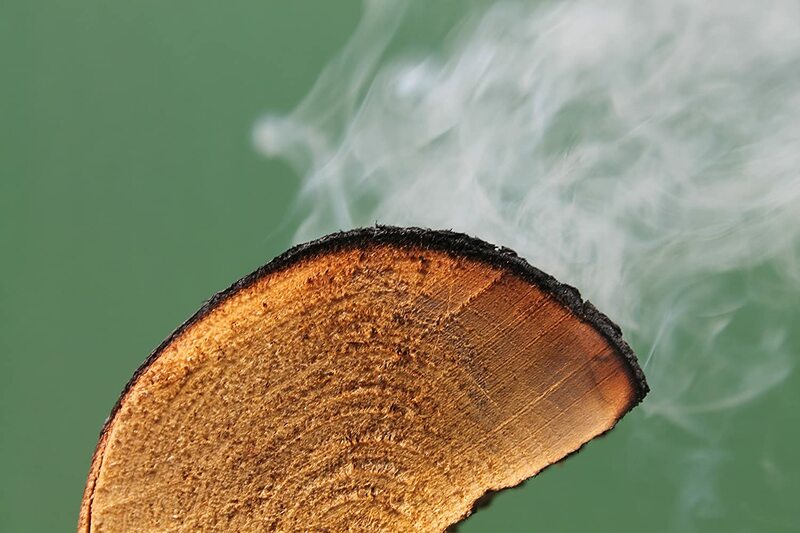 By using these smoking chunks you are helping promote the positive management of British broadleaf woodlands. Thank you! 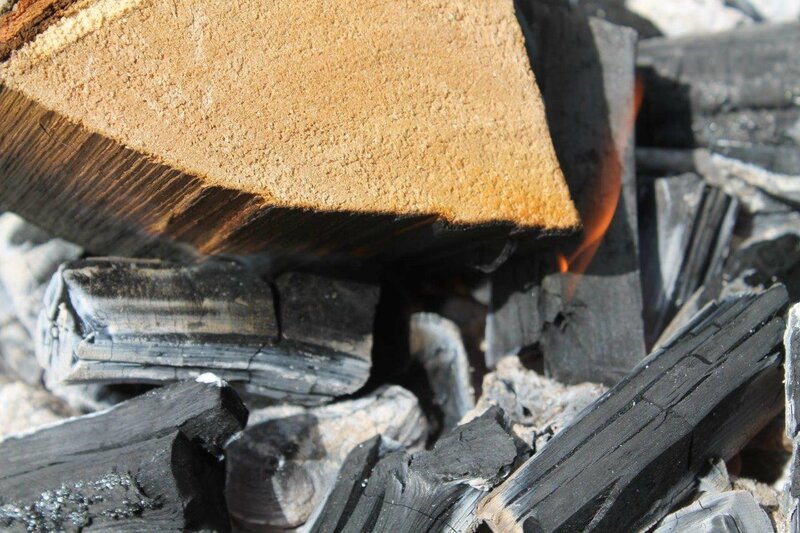 Light charcoal using your preferred method. Several minutes prior to cooking, add 3-5 dry chunks on a standard grill. Use less in a smoker / kettle / kamado style BBQ. Excellent. 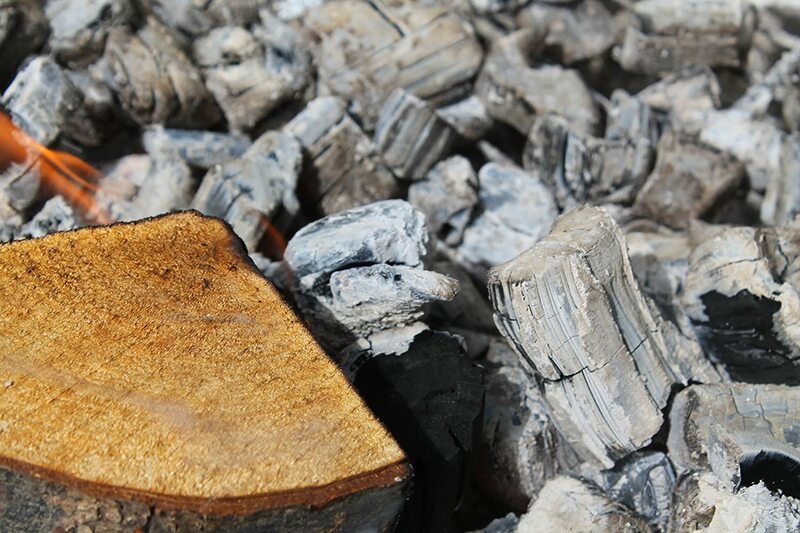 We, like many others, miss the charcoal flavour when using our gas bbq. We tried a bbq smoker, but found this gave very little flavour. We now pop a few of these chunks (about 4) into an aluminium tray onto the lit bbq until they start to char and smoke and then pop the tray under the gas burners when we cook. 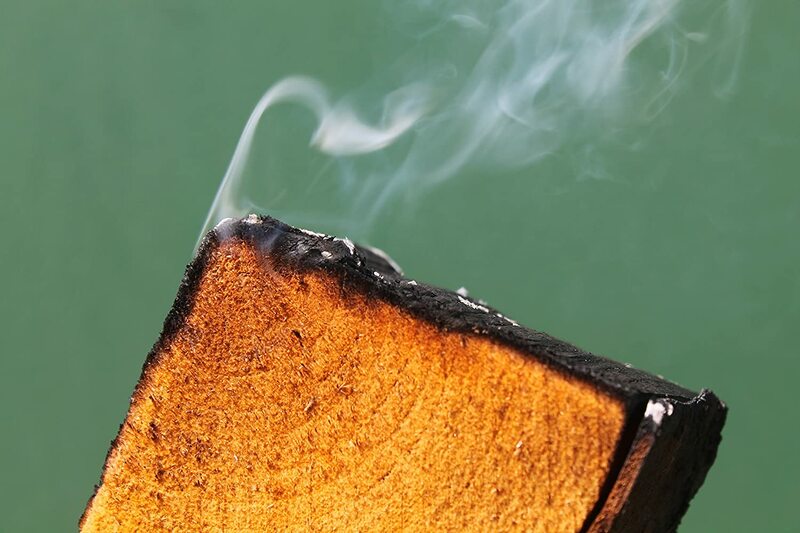 DO NOT use lighter fluid or equvalent and make sure there are NO FLAMES coming from the wood blocks ! 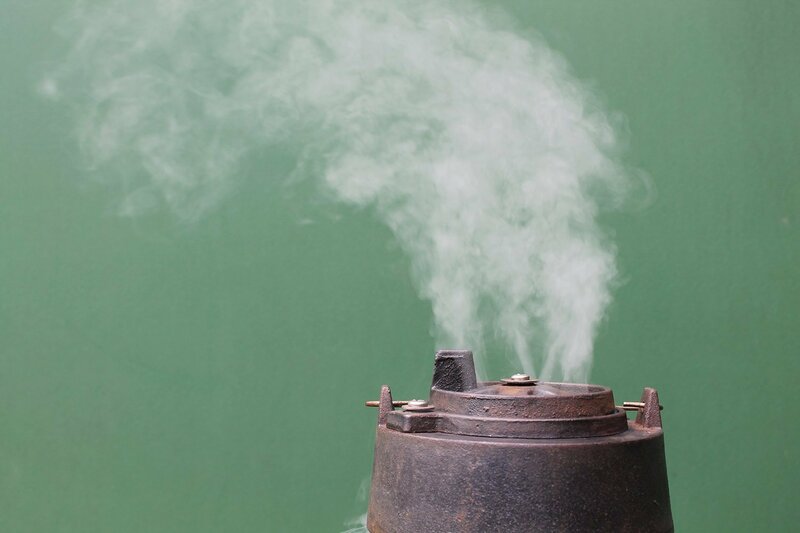 The smoke rises through the gas bbq coals and flavours the food. We also pop a few hard wood herbs in with them just before cooking. 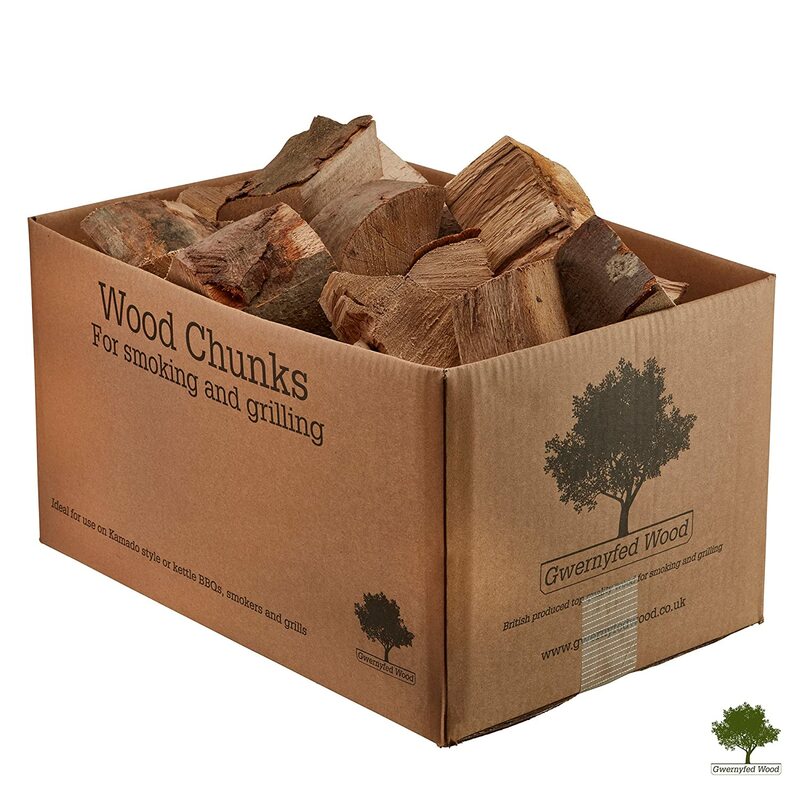 Some pieces may need to be cut down a bit, but we find this larger size better than the small chips - they last longer while cooking and can be wetted down after use if not completely charred through, ready for the next time. We have tried with and without soaking - if you soak first they will take a little longer to char and smoke and will probably last a bit longer. I rarely leave feedback, but I thought my smoking brethren deserved to know that I highly recommend this product. I live on a small Island so have to order pretty much everything I need for grilling / smoking. 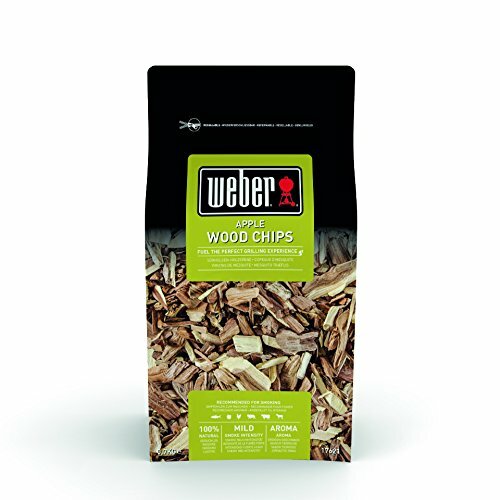 I have always bought bags of Weber wood chunks, but of late it's proved difficult finding the wood I wanted. Looked at these a few times and thought for 20 quid, I'd give it a punt, and I'm glad I did. I ordered a box of cherry and the wood itself looked to be of a very high quality. The box was packed full, 5KG. A bag of Weber is 1.5KG and was costing me between £14 and £20 depending on the wood, so that's a no-brainer. 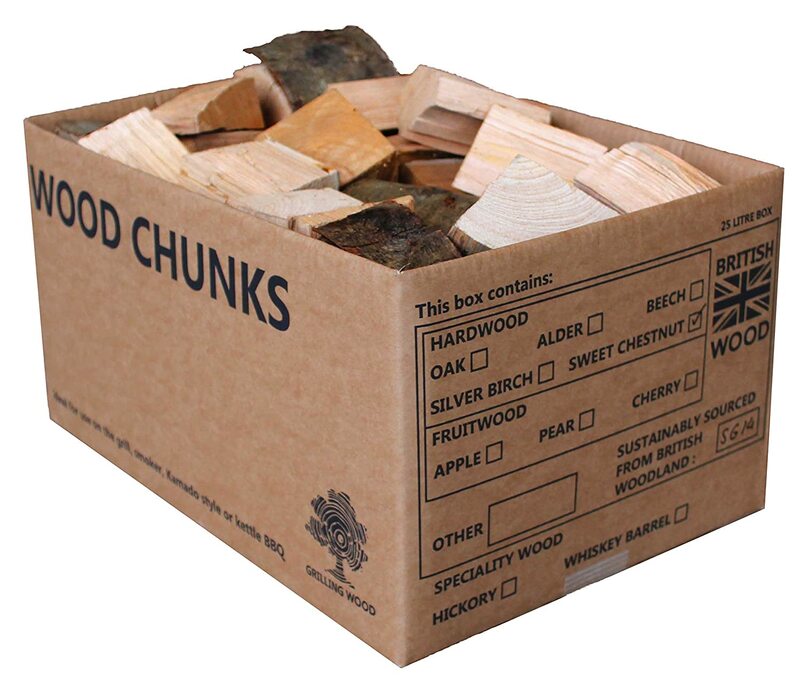 The chunks are a really good size, I had to split a couple though, which is no bad thing, not a lot of bark either. Tried them out smoking 4 chickens for a gathering at a friends and not only did I love the flavour, but so did the other 15 people there. I'll definitely be ordering this product and the others from these guys in the future. 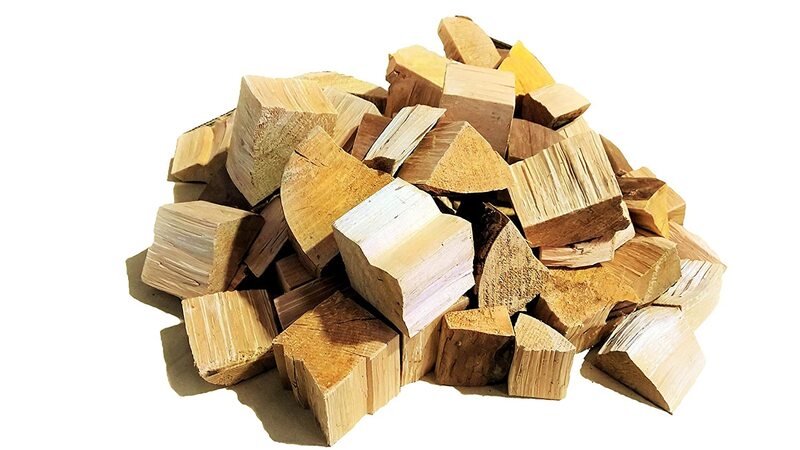 Brilliant wood smoking chunks. 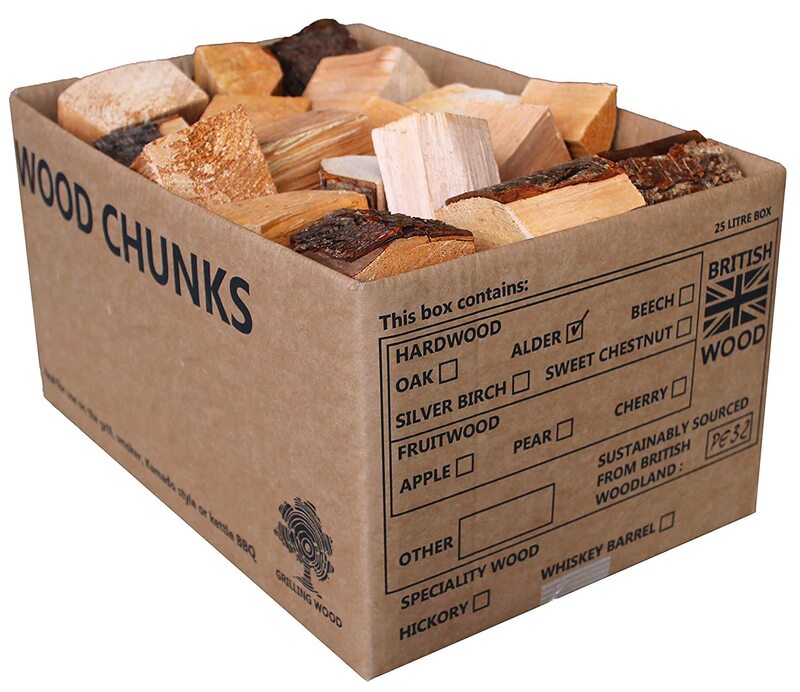 There are plenty different sized chunks in the box which makes it easier to arrange them to get more or less smoking through the cook. I have used them on my weber kettle bbq to low n slow smoke a 6lb pork loin which turned out to be amazing as did the 12lb brisket and the two chickens that I have smoked. Definitely worth the money and I will be trying some other wood chunks from this supplier. 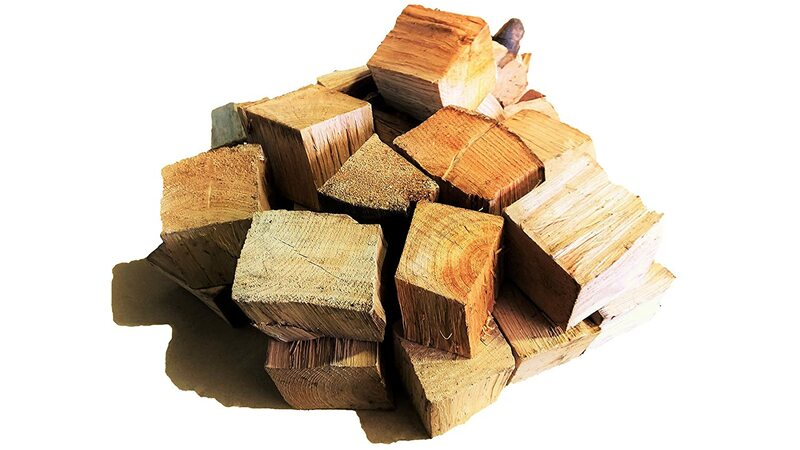 Fantastic quality chunks that burn well and produce a fantastic smoke. 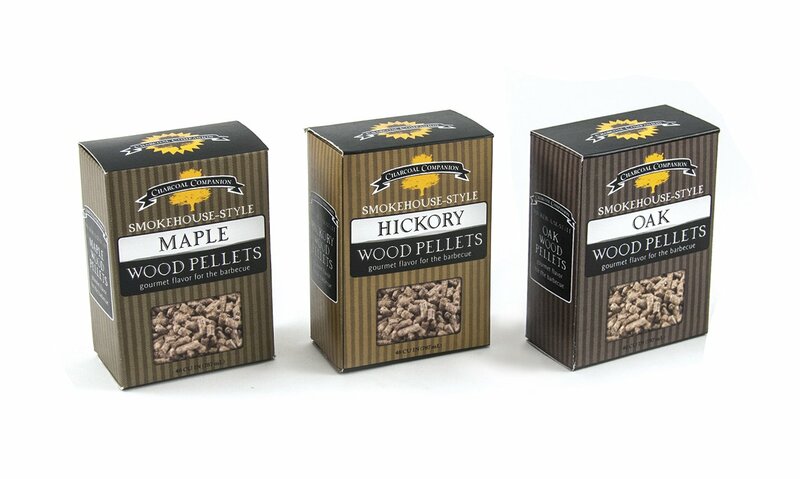 Have used these to smoke both pork and beef with great effect. I thought the price was a little high when I first ordered but to be fair, the box seems to just keep going after several all day smokes.... and I use a LOT of wood when I bbq. 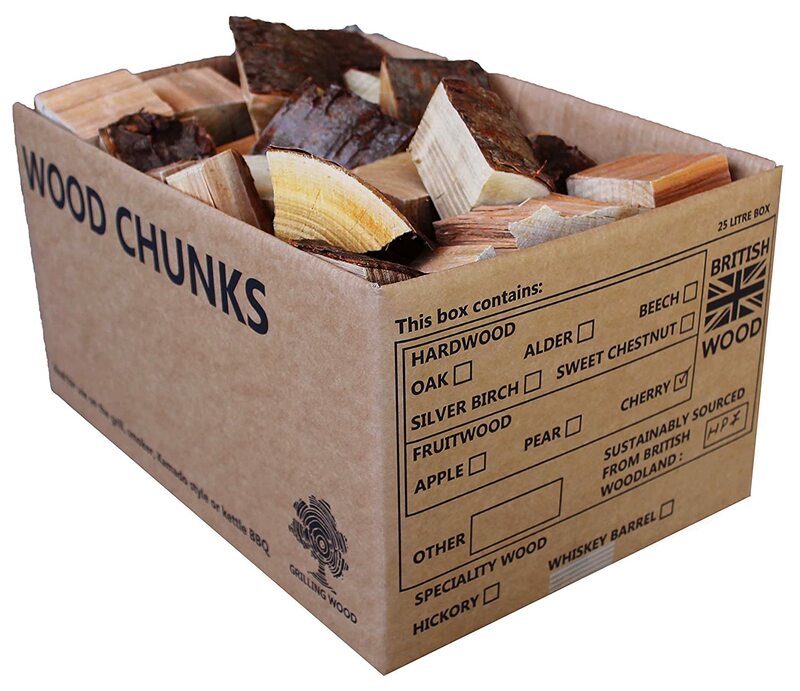 I ordered a load of smoking wood from this company (apple, oak, cherry and hickory) . 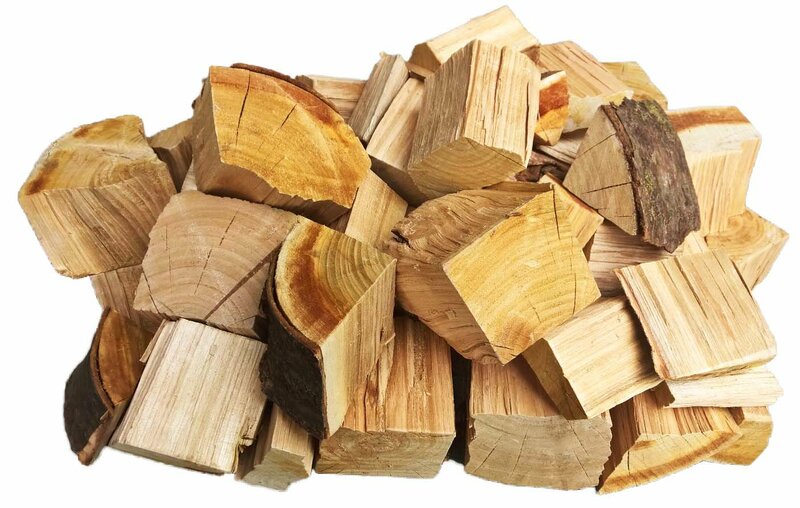 All good to very good (nice large solid chunks of wood with little or no bark). great product. comes in variety of sizes. 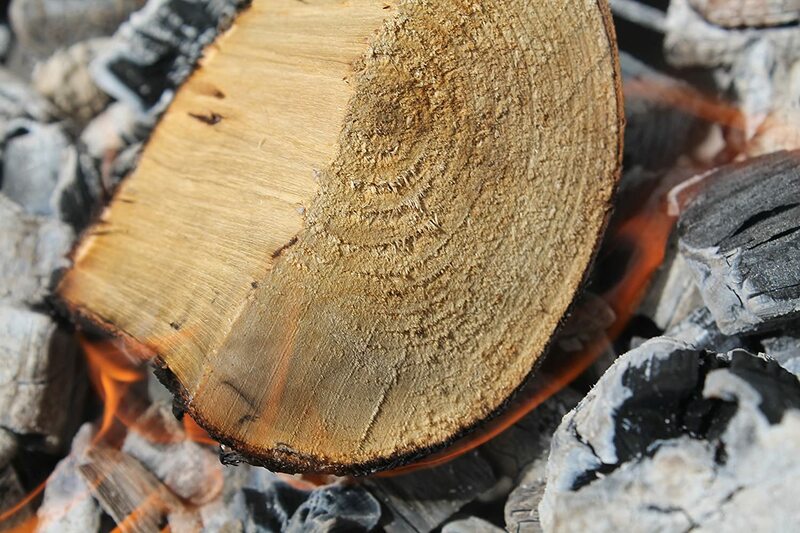 wood smoke adds a flavour that you ca't get with normal charcoal. highly recommended. Big Big box will easily last me 2 -3 years bbqing most weekend in summer. Stop buying that small chipped stuff! 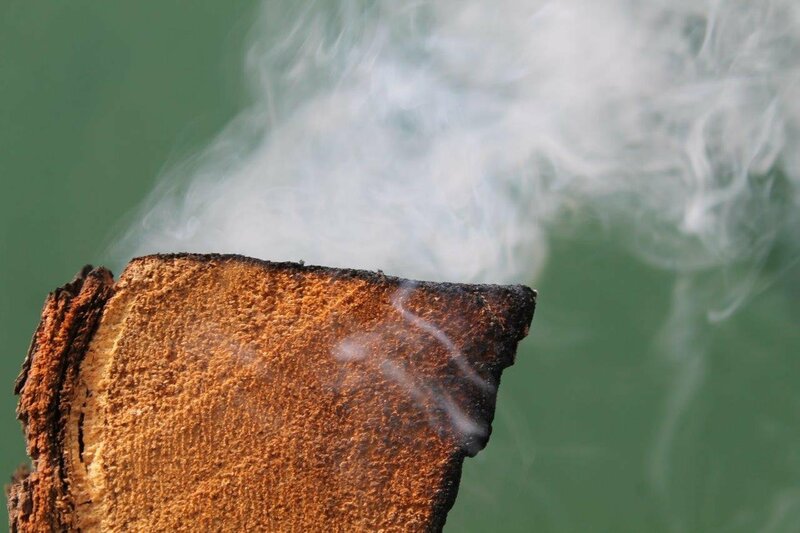 Each chunk will easy burn/smoke the duration of a standard full kettle burn! Really happy will be purchasing again for sure! 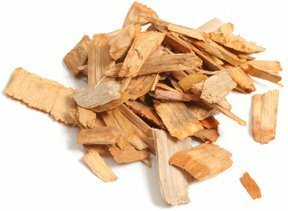 Works out soooo much cheaper than wood chips!